When it comes to the technically related questions we receive here at Float, I found that they fall under some similar categories that I like to call the 6 “P”s: Platforms, Policies, Procurement, Provisioning, Publishing and Procedures. Over the next several weeks, I will be discussing those categories and some thoughts about how they fit into a proper mobile technology strategy. The first category, Platforms, sounds like a simple one. Android, iOS, Blackberry, WebOS, Windows Phone 7 – pick a platform and go with it. But it isn’t that simple. Maybe the CEO got an iPad that he loves and wants the entire company to use them. Maybe there is an existing installation of Blackberry Enterprise Server that the IT department has already paid for and insists on sticking with. Or maybe the organization has a huge investment in HP products and can get new phones and tablet at a huge discount. Everybody has an opinion, and sometimes the strongest voices come without the proper research. Be careful not to rush into a specific platform without careful research into what is most appropriate for your enterprise. Another concern in choosing a mobile platform is deciding whether to embrace or reject the backdoor introduction of mobile devices by users adding their personal smartphones or tablets to the network. If you ignore this, you run the risk of creating a de facto policy of allowing any device onto the network which creates a possible security risk and support headaches for your IT staff. Establishing an official mobile platform reduces that risk. It will also help determine your policies on accepting outside devices into your organization. The biggest question that needs to be answered is if it is even possible to settle on a single platform or if you will be supporting more than one. That will change how you answer the questions that come in the rest of the “P”s. For a small company, it could be easy to say that you only have the resources to support Android devices or iOS. Maybe a large company has the resources to purchase and deploy iPads to every mobile user in the organization. Then it is possible to plan a single platform strategy. On the other hand, maybe you need to support contract employees who use a different platform, or you want to be able to handle any mobile platform on the market. In that case, your future plans for provisioning devices, developing apps, and supporting the devices is entirely different than the single platform strategy. Be mindful of the consequences of supporting multiple platforms. With the increasing number of tablets on the market, you also need to decide how that affects your planning. Is it possible to create a single mobile strategy for smartphones and tablets, or does it require separate rules? Just as developers have found that many apps don’t scale up from a phone to a tablet well, your mobile strategy may not either. It also is important to take the future of the platform into consideration. With Android currently holding 33% of the smartphone market and iOS and Blackberry over 25% each (comScore), there may not be much room left over for other new competitors, with fringe players also losing market share. The majority of the tablet market is controlled by iOS with estimates of 70-80% of the market, according to an IDC survey. Choosing a healthy platform means it is more likely to be around in the future. There will also be far more apps and accessories developed for a platform with a large market share. 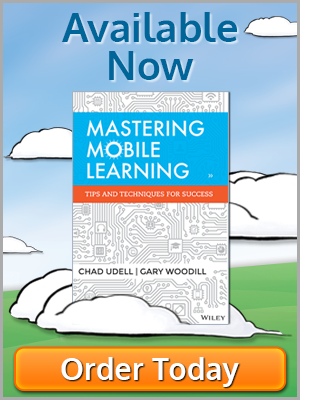 The larger a mobile ecosystem is, the more useful it can be for your organization. So what is the best strategy? There isn’t a single correct answer to that question. The best way to answer it requires gathering information throughout the organization. 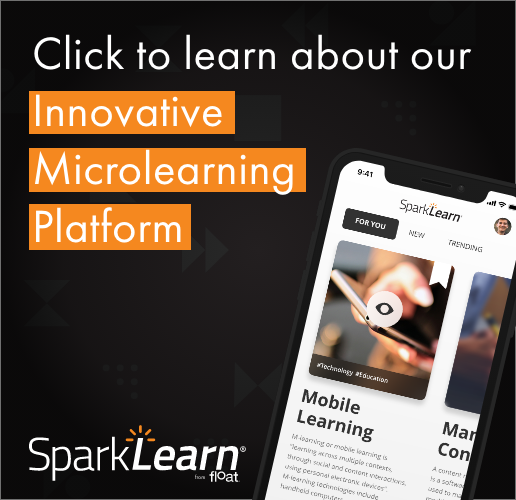 What is the reason for using mobile devices and deploying mobile learning? What devices fit into the enterprise infrastructure? What will the total cost of ownership (TCO) be for the mobile platforms? Who are the developers? Who and where are the end users? How will you manage the devices and apps? Answering these questions requires talking to your IT staff, developers and users to get an accurate idea of what will work best. Mobile technology is a rapidly changing world. Doing the research and planning first is essential to choosing the platform that works best for your organization. I agree with Martin…you’re off to a strong and interesting start and we’ll watch this serial with interest for the coming 5 P!. Always remember that future predictions in this market are also hard to nail down for the analysts especially in the “out years”. In fact, just last week IDC estimated that WinPho would be in spot #2 in 3 years behind Android and ahead of iOS and BBOS and others. But looking back the where they thought the market would be today just 3 years ago, Symbian looked like the dominant player forever! And just three years ago there was no such thing as an “off deck app market” either. One error/omission in P1: the industry term “TCO” refers to “total cost of ownership” not “operations” – just a nit but important. Thanks, I will be getting into that subject in the next few weeks for sure. There are some questions to answer about the BYO plan for devices that I will discuss. A good MDM is a must in a large organization, and there are several good multi-platform MDMs out there to choose from. Again, I’ll get to that in the next few weeks. I agree with you on the future predictions. I took the IDC estimate with a rather large grain of salt. There was also another survey that came out after I wrote this that estimates that iOS will control over 75% of the tablet market for another 4 years. If they do for that long, that could sway future numbers as third-party developers will do more for the larger market share. As you said, it is hard to predict.